Hi there. I hope I'm writing this in the right part of the forum but I'm looking for some help and guidance. 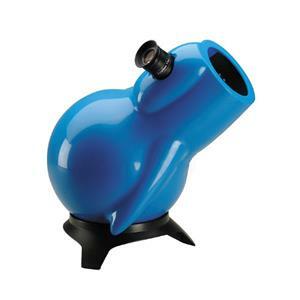 My 5 year old has a obsession with planets and for Christmas this year has asked for a telescope to go with his planetarium. I'm willing to pay up to £200 but after reading review after review I'm struggling with which is the best. My boy has slight autism and is highly dedicated to planets so I really need one he will be able to view maybe some. Any advice for a confuddled mum would be appreciated. Thanks. Re: Evan's mum needs telescope advice!! 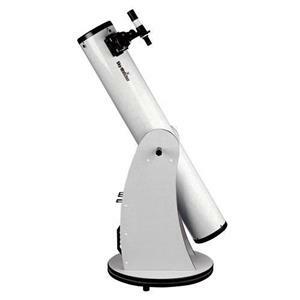 Unfortunately, a telescope that is capable of showing the planets is not easy for a 5 year old to operate. However, even a modest pair of binoculars can show a fair amount of detail on the Moon. To see the sort of planetary views that are banded around on the internet, you need an expensive telescope and a good night. Through most telescope, planets show a disc with faint markings. It is possible to see Jupiter's main cloud belts and moons with a small telescope. Are you near an astronomical society or anywhere near Wiltshire? Bear in mind though, that this Christmas and into New Year most of the 'interesting' planets (Jupiter, Mars, Saturn, Venus) will be very much 'early hours' objects, so will involve you waking Evan up at an early hour, and because of sunset times they won't really be early evening objects very much this year. 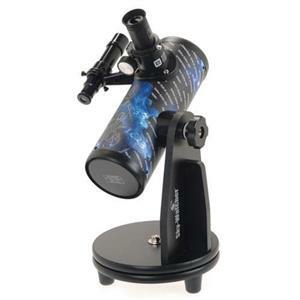 It'll show you great views of star clusters and the like - but will need taking out and seting up, and will definitely depend on you being in charge. My advice? 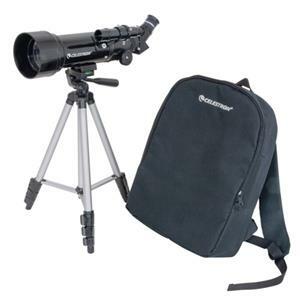 - if YOU are keen on getting into astronomy, go for the £200 scope, but otherwise the £75 might be a more versatile thing, particularly as it comes with a backback for taking on a trip. Sadly though, the planets aren't really right for Evan really any time this year, either they are early morning visible, or they're only visible well after bed time. However, there are plenty of other things to look at like star clusters and the Moon to look in the weeks and months after Christmas. Oh, yes - if you order them online, you can take delivery now, try them out before Christmas, see what you think and return them under UK's 'Distance Selling Regulations" if they're not suitable. You may have to pay for the return postage, but it can save you ending up with an unsuitable present.